It is a time when humans have begun to forget magic, and science has risen to take its place. Mythical beasts are beginning to disappear from the world. 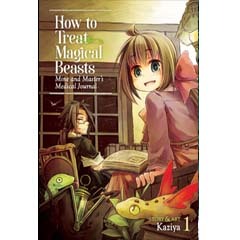 A young girl named Ziska, born into a line of mages, becomes the apprentice to a veterinarian for magical creatures. With the two of them working together, they hope to save these beasts of legend from a world that is leaving them behind.